The The International Academy of Trial Lawyers is a very exclusive association of the best lawyers in the world. Membership in the United States is limited to 500 attorneys, half of whom represent plaintiffs and half of whom represent defendants. The group has members from more than 30 other countries. 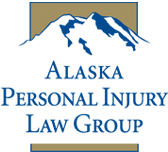 Membership is by invitation only, after an extensive investigation of the nominee’s qualifications, which includes legal abilities, past cases, ethics, integrity, and evaluations by judges before whom the attorney has appeared. Attorneys do not know they have been nominated for membership or that they are being investigated.